The new incarnation of Fleetwood Mac performed on "Ellen" today, playing "Gypsy" and "The Chain". Neil Finn played his Jet Firebird. I hope that someone posts that on YouTube so that I can see it. Pretty cool. Sounds great. Great coup for Gretsch! I'd go see the band, depending on ticket prices. I've never been a Nicksfan, but Mick, John, and Christine have provided years of comforting listening pleasure. The new guys sound...promising. I'd like to hear the layered guitars of the Green-Kirwan or Welch-Weston incarnations, and I'm hoping in concert the newly 2-guitar configuration would go there - at least in their own way. I think I read they're considering pre-Bucknix songs for the tour, which would be huge for me. I did take a moment to wonder why they needed the unnamed acoustic guy in the back. Has the band always carried a utility guitarist like that? I assumed since they were a one-guitar band in the Buckingham era, they went out that way. The electric parts really aren't so demanding or complex (at least on the two tunes they did for Ellen) that Finn or Campbell couldn't have banged some acoustic as needed. Nonetheless. Fleetwood Mac with some double-barrelled hope in the guitar department. That's a good thing all the way around. Bob, just google Fleetwood Mac Ellen. You'll get it. Neil Finn handles Lindsey’s vocal parts and I’m sure Mike Campbell can handle any guitar part. They seemed to be well-rehearsed, tight, and yet there was a relaxed feel to the group. Truly, they seemed to be enjoying this moment. If the entire tour is as good as those two songs, attendees are in for a treat! Hey don't forget the Kirwan-Welch overlap. Although they didn't get along that well, their guitar interaction was quite good. Tight and well-rehearsed, for sure. Yet, I don't believe that Mike Campbell is feeling obligated to play all of Lindsey Buckingham's licks. Rather, I think that he will gradually morph the parts into his own, all the while maintaining the iconic parts. It has to be very difficult for Campbell to go from a band where he was an integral part of the creative process and has been viewed by virtually everyone as a very high-ranking second-in-command for the Heartbreakers and instead have to cover the parts of another guitar player in a band that has existed in this basic lineup for several decades. Neil Finn definitely has the vocal chops to cover Lindsey Buckingham's vocal parts. However, he is also an excellent guitar player and always played the lead parts for Crowded House. There is no reason to think that he and Campbell won't create some excellent guitar fireworks in the band's future material. I can't wait to hear the songs that Neil Finn writes for this band. Three great singers plus two excellent guitarists. I wasn't put off by the presence of the acoustic guitar player anymore than I was by the second keyboardist or the two back up singers. Bands simply perform with more pieces so as to create a thicker sound. The days of a lean touring machine have been over for some time now. I had to wonder while watching these videos whether this was must-see TV for Lindsey Buckingham. This was actually a joy to listen to. 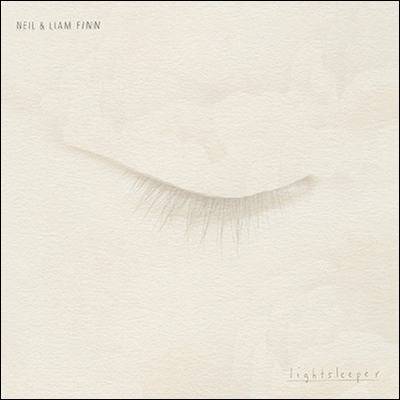 Bob, as I know we both admire the talents of Neil Finn... have you noticed the recent release of Neil & Liam Finn's first father-son album "Lightsleeper"? There's some ridiculously beautiful music on it. Yes, Sascha, I had noticed the new release although I haven't heard any cuts from it yet. Glad to hear that it is promising. I don't know, I'm a bit disappointed. I can't remember a time that Mac changed up guitar players that it didn't get nudged in a different direction. What we get right out of the chute is greatest hits on parade, done impeccably without doubt. Yet, considering the depth of the two new guys ,I expected more, a lot more. Your disappointment is understandable, yet don't form too hasty a decision. Remember that the purpose of hiring Finn and Campbell was to permit Fleetwood Mac to go on tour again. If the objective is to tour, then they have to learn to play the greatest hits. The real question is what will they be doing two years from now when they have had the time to write new material and work it up as a band? At that point, a fairer evaluation can be made. When you bring in guys of this elite level, I have to believe that this could be something special. Campbell was there in the beginning and Finn is a really good addition. It makes a tired band fresh again with a little less look at me attitude. I'm a cranky, crusty old man......for me, Fleetwood Mac after Peter Green left and especially the Buckingham era was a totally different animal and not something that appealed to me (I'm definitely in the minority on that one). Having Campbell and Finn however does look promising and could lead to something a bit different. Mick layin’ it down as usual, this time while in the drummer terrarium. I thought Neil Finn was especially good. Hey Curt... I didn’t really understand your “Finn” reference in your recent email to me (re: ‘64 Jet in need of work). Now I get it!!! I’m not a fan of doing major stuff pre tour or recording, I’m happy for the wait. Thanks for the forward! I wasn’t sure what Guitar was in need, there’s a double cut Jet in the mix too. Hmm, Fleetwood Mac eh? North America, or at least the eastern side of it, is about to get a blast of the brother-in-law's Mac band next month — 18 dates from Montreal to Florida. He plays keyboards and Takamine. Sascha: this is the band we would have seen when we came to Berlin.